Looking for a fun day out? 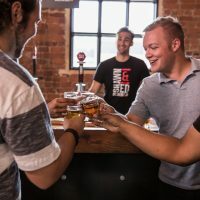 Grab some friends, nominate a designated driver, and hit the road for a day of touring and tasting at amazing craft breweries, cideries and wineries along the True Brew Path in the Heart of Ontario. Get introduced to the craft breweries that have quickly become a big part of our red-hot, culinary scene and taste the coolest artisanal beers of eighteen independent breweries and brewpubs. Here you’ll join other beer enthusiasts tasting stouts, pilsners, ales and lagers and talk to Brew Masters about their signature craft beers. Learn how the geology of the Niagara Escarpment works its wonders on grapes grown in its soil and spend an afternoon swirling and sipping the reds, whites, rosés and meads of our region’s wineries. Visit our cideries and see why these small-batch producers are winning awards for hard cider made from apples grown in century-old orchards. We’ve organized the guide below by area to direct you to all of the tasty stops along the True Brew Path. If you’re short on time, consult the Ontario Greenbelt’s Brewery Discovery Routes which features a curated selection of ‘must-sees’ from our full list of recommended stops. Thrifty tasters will want to check out the Craft Beer Passport app to enjoy a $2 craft beer at selected stops. Milton’s only craft brewery is owned and operated by two friends who have turned their passion for home brewing into a booming little business. Drop by and visit these energetic young brewers from Wednesday through Sunday. 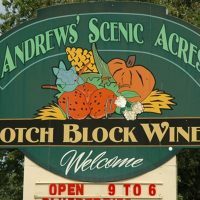 The fruit wines of Andrews’ Winery are made from fruit grown right on the farm and include award-winning strawberry, raspberry, blueberry, cherry, apple and currant. You can also enjoy your day on the farm with a taste of their hard cider. 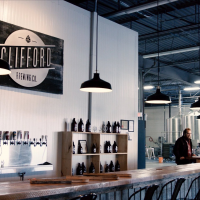 If you’re on the hunt for some of Ontario’s finest locally brewed beers, look no further than Clifford’s proudly brewed porter. 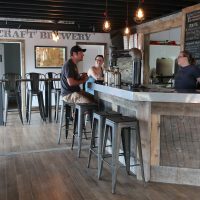 This award-winning brewery has a taproom and retail store in East Hamilton where visitors can try a selection of beers, many available only on site. Local beer lovers and students alike feel at home in this dog and kid-friendly open space in West Hamilton, which features a tap room and retail store. 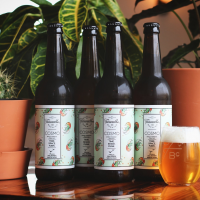 A family-run craft brewery, the focus here is on unique and balanced beers in small batches. The constantly rotating line-up of beers boasts a new beer released each month. 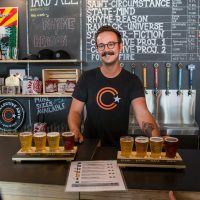 Creative spirits won’t want to miss a visit to Hamilton’s Collective Arts, where each beer is a work of art on the inside and out. In addition to featuring visual art on the label, scanning the label with a smart phone unlocks music and videos by featured bands and filmmakers. Experience brewery tours, a store and taproom and the Collective Arts Gallery, featuring artists and musicians who have been on the labels since the brewery’s launch. Built on the philosophy that “beer is best with friends”, this brewery offers private tours and traditional bottled beers paired with doughy soft pretzels in an intimate but vibrant tap room. You’ll find their tap room and bottle shop in a revitalized warehouse in West Hamilton, near McMaster University. 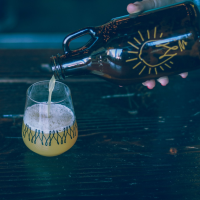 Guided by a team of ambitious friends, Merit Brewing is a brewery, kitchen, and bottle shop located in the heart of downtown Hamilton that strives to represent the heart, art, and soul of Hamilton in every beer. In addition to its creative beers, Merit offers a sausage based menu fit for any hungry beer drinker. A brewery inside a former curling and skating rink? It doesn’t get much more Canadian than that! Home to the winning Canadian brew from the World Beer Awards, this brewery in Dundas is overflowing with history and personality. Try their signature brew, gently aged in wine barrels to produce a unique flavour. Rust City Brewery is a family run urban coffee house and craft beer pub – soon to be brewpub – combining a love of coffee, beer and people. 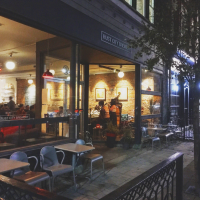 Their goal is to become one of Hamilton’s best destinations for coffee, independent craft beer, healthy café food and charcuterie. 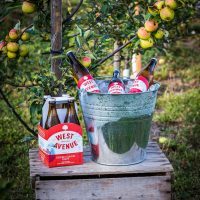 Helmed by the former Chef at Spencers’ at the Waterfront, West Avenue’s ciders are hand crafted using traditional methods and were awarded 2014, 2015 and 2016 Best Cider in Ontario. From June to October the cider house is open for tastings, where you will want to sample their year-round staples and more innovative barrel-aged and cask-conditioned ciders. 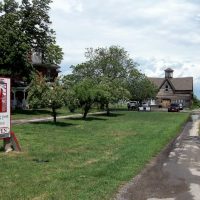 At their 213 year-old family fruit farm, Puddicombe offers a taste of the country, including a full slate of whites, reds, fruit wines and fruit ciders. Tasting musts include the popular, yet rare, Muscat and Colombard whites, as well as Sir Isaac’s Premium Ciders. 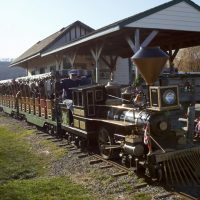 During the spring, summer and fall season, the winery features a unique orchard and vineyard train tour, general store, bakery and licensed cafe. 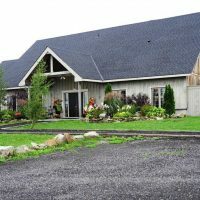 Located right on the edge of the Niagara Escarpment and adjacent to the Bruce Trail, Ridge Road is the ideal place to take a self guided tour of the vineyards and experience the natural beauty of this unique location. The rustic winery also offers seated complimentary tastings at their tasting room. What began as a virtual winery is now a quaint tasting room in Winona that welcomes visitors to taste wines made from interesting single vineyard blocks. The founder and winemaker has worked with some of Niagara’s best known wineries, and now focuses on producing distinctive, terroir driven wines of his own that embody his passion. Get to Oakville to pick up your growler at Cameron’s retail store or choose from their three different brewery tours offered on Saturdays. 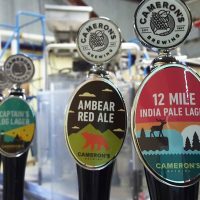 Cameron’s Brewing Company has been creating delicious craft brews since 1997 and has won over 200 awards for its classic ales and lagers. 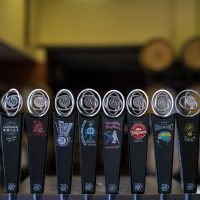 This brewpub offers a variety of traditional and specialty beers, as well as the Brewer’s Tap, which is developed and brewed with care at the Oakville location. A menu of carefully crafted food to pair with the individual beers, enhances the flavours and elevates the overall sensory experience. Looking for an exclusive? Nickel Brook’s Bottle Shop always has rare bottles available. 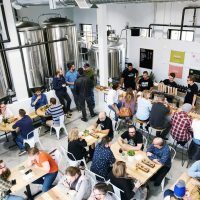 Leading players in Ontario craft beer has transformed their original Burlington brewery into the Funk Lab, a facility dedicated solely to small-batch funk and sour beers. Raise your glass to craft beer paired with an exceptional menu and a great entertainment line up. 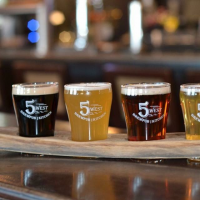 This brewpub and retail shop is north Burlington’s destination for 5West’s signature craft beers, which include a blonde, IPA, wheat, red and lager. Enjoy them with an inspired menu, featuring dishes using craft beer in the recipes and cooking process. 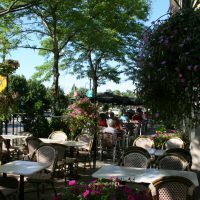 In the heart of downtown Burlington, relax on Pepperwood Bistro and Brewery’s outdoor shaded patio with a cool drink or enjoy the fantastic menu in the dining room. Alongside its delightful cuisine, this hot spot offers its own on premise brewed beers by the pint. This friendly Brantford brewery will be happy to pour you a taste of their brews in their Tap Room. 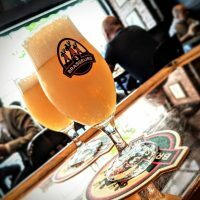 You’ll also find seasonal selections and creative one-off brews that in the past have included unique flavour combinations like a chocolate and orange porter and a Habanero chili lager. 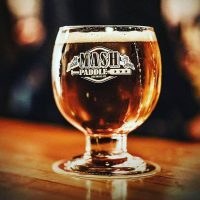 Mash Paddle Brewing Co. started in a small kitchen where its first batches were brewed with love on a small stove. Founder Theo Scholten quickly outgrew his setup and met a fellow brewer that shared the same interests and passion. 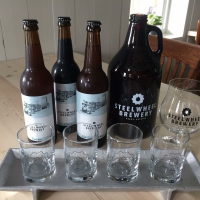 Together with his wife Nicole, they are now creating some of the freshest local beer available in Brantford and the brewery is open to the public on a limited basis. Get a true farm-to-glass experience at Brant County’s first on-farm brewery. Located on the hop farm of long time local residents, this is a place to gather and drink. 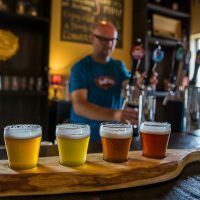 Its unique, fully renovated 1890’s farmhouse features a comfortable tasting room and an adjacent outdoor patio where visitors are invited to try a variety of small-batch brews. Find this cidery in the small town of St. George where a visit to the orchard is a recommended pilgrimage. 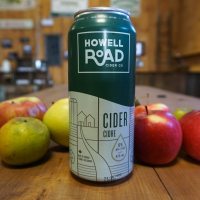 Try their small batch dry cider, made from a custom blend of fresh apples grown right on Howell Road’s farm. If you’re looking for other tasty ways to spend a few days, there are plenty of other food and drink experiences to discover in Hamilton Halton Brant. Discover hipster hotspots, road trip-worthy restaurants, farm markets and more. If there’s one season that was made for foodies, it’s fall.